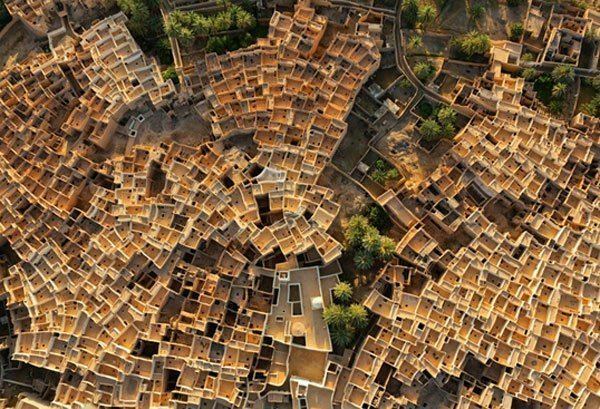 Ghadames or Ghadamis (Berber: ?dames or ?dimes; Arabic: ?, Libyan vernacular: ?d?m?s, Latin: Cidamus/Cydamus) is an oasis town in the Nalut District of the Tripolitania region in northwestern Libya. Ghadames lies roughly 462 kilometres (287 mi) to the southwest of Tripoli, near the borders with Algeria and Tunisia. Ghadames borders Illizi Province, Algeria and Tataouine Governorate, Tunisia. 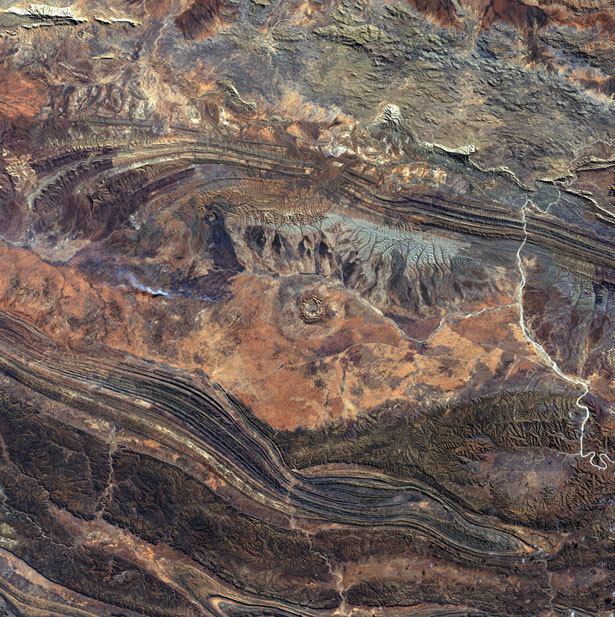 The oasis has a population of around 10,000, mainly Berbers. The old part of the town, which is surrounded by a city wall, has been declared a UNESCO World Heritage site. Each of the seven clans that used to live in this part of the town had its own district, of which each had a public place where festivals could be held. Ghadames has a hot desert climate (Köppen climate classification BWh) with long, extremely hot summers as average high temperature is around 43 °C (109.4 °F) in July, the hottest month of the year as well as short, warm winters. The town is virtually rainless throughout the year as average annual precipitation is only 33.1 mm (1.30 in) and the sky is nearly always clear all year long. 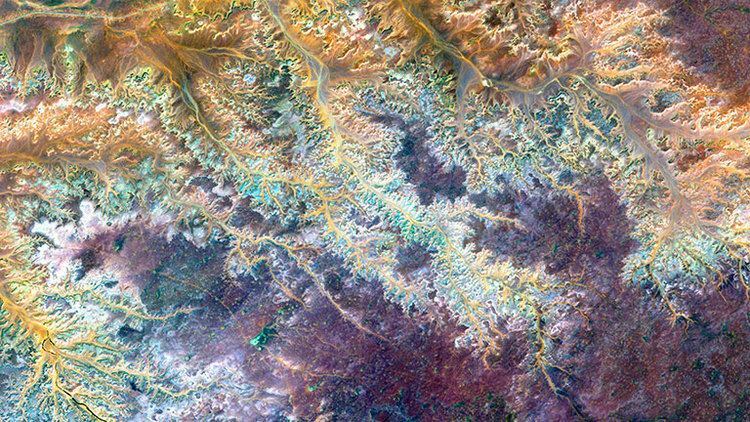 It has been suggested, based on archaeological evidence, that this area has been settled since the 4th millennium B.C., and is one of the oldest pre-Saharan settlements. Its situation near a water source in the middle of a desert would have made it an important spot for anyone seeking to settle in the area. 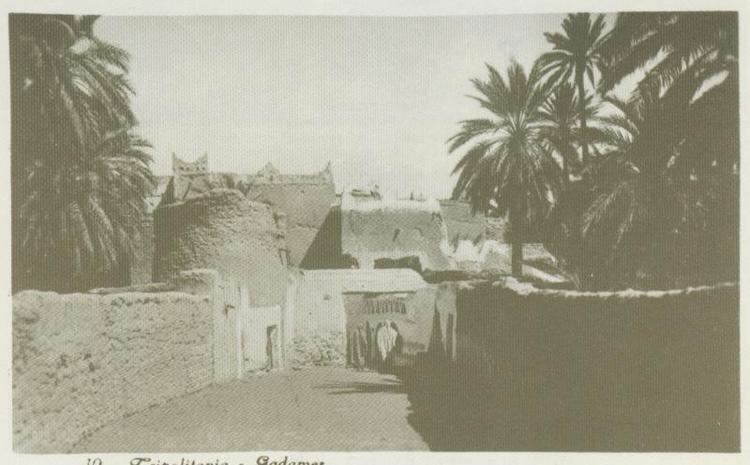 The first written records about Ghadames date from the Roman period when the settlement was known as Cydamus, from which modern Ghadames derives its name. In the 1st century BC, the Roman proconsul Lucius Cornelius Balbus invaded Cydamus during the reign of emperor Augustus. A permanent Roman garrison was established during the reign of Septimius Severus, and the emperor may have visited the settlement around AD 202. However, the Romans withdrew from the area a few decades later during the Crisis of the Third Century. Common Libyan foods include several variations of red (tomato) sauce based pasta dishes (similar to the Italian Sugo allarrabbiata dish); rice, usually served with lamb or chicken (typically stewed, fried, grilled, or boiled in-sauce); and couscous, which is steam cooked whilst held over boiling red (tomato) sauce and meat (sometimes also containing courgettes/zucchini and chickpeas), which is typically served along with cucumber slices, lettuce and olives. A very common snack eaten by Libyans is known as khubs bi tun, literally meaning "bread with tuna fish", usually served as a baked baguette or pita bread stuffed with tuna fish that has been mixed with harissa (chili sauce) and olive oil. Many snack vendors prepare these sandwiches and they can be found all over Libya. Libyan restaurants may serve international cuisine, or may serve simpler fare such as lamb, chicken, vegetable stew, potatoes and macaroni. Due to severe lack of infrastructure, many under-developed areas and small towns do not have restaurants and instead food stores may be the only source to obtain food products. Alcohol consumption is illegal in the entire country. There are four main ingredients of traditional Libyan food: olives (and olive oil), dates, grains and milk. Grains are roasted, ground, sieved and used for making bread, cakes, soups and bazeen. Dates are harvested, dried and can be eaten as they are, made into syrup or slightly fried and eaten with bsisa and milk. After eating, Libyans often drink black tea. This is normally repeated a second time (for the second glass of tea), and in the third round of tea, it is served with roasted peanuts or roasted almonds known as shay bil-luz (mixed with the tea in the same glass).